Craft tools, explore ruins, and gather important resources to help keep your team alive. 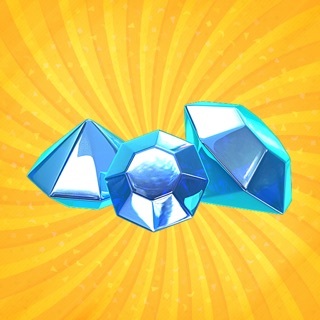 Swap and match gems on hundreds of puzzling levels to solve quests and investigate strange mysteries around the island. Grow and harvest crops to use as ingredients for unique dishes. Fill your inventory with items and treasures you’ve uncovered on the island. Escape from bizarre creatures and dangerous locales. Do you have what it takes to be a survivor? Let’s find out! UPDATED GRAPHICS FOR MATCH-3 PUZZLES – The gems are even more visually appealing now! Complete challenging levels by matching sparkling gems and solving the island's mysteries. FIXES AND IMPROVEMENTS – The issue with moving to the next location is fixed. Your favorite adventure is only getting better. Check it out! Leave a review and let us know what you think of our latest update. Your feedback helps us provide you with the best experience. This game is great for all the times that you're bored out of your mind and want something interesting to play. I'm giving this a 4/5 though because the mini game you have to play every time you want to complete an objective or cook food is getting quite tedious and repetitive, it's a little harder to understand how you're supposed to get extra lives back if you lose in the mini game and I'd like to be able to earn more diamonds to upgrade stuff (since probably 75% of the player base for this game are younger people, they're not likely going to have the money or ability to pay for more diamonds in the store, yet trying to earn diamonds seems to also be really hard and is starting to get boring. However, on the flip side. The game runs great, graphics aren't bad, controls are really easy to learn and storyline so far has kept me fairly interested, bravo to the devs because it's hard to get me and keep me interested in a mobile app game longer than a few days or a week. I do wish you would make it so the lianas and branches stood out a bit more from the regular scenery though, it's a little difficult to find them mixed in with all the rest of the background. Like many other reviewers I found the Match 3 mini-game extremely tedious, but since changing the mini-game from a time limit to a limited set of moves to solve the puzzles the game overall for me has been far more enjoyable. But I do have one issue with the game, limited play. By that I mean you can only play through the game once. Once you get through all the currently available levels there is no way to reset the game and start over from the very beginning. Basically the game comes to a dead end until the developers release another location, until then you cant replay the game. I have tried deleting the app and reloading it, but my game data is saved on the developer’s server and linked to my device. This annoys me because I had not setup an user account that the game says is important for them to save user data and prevent loss of game progress, but it does that whether or not you create an account. It also means that new players cant play if they are on a device a previous player had used. For me, who loves to replay games that I had previously enjoyed, this is a major drawback of the game. Please, developers, give players the ability to restart/reset the game back to the beginning. The storyline is great but there are highly difficult match three games that are completely impassable that force players to pay for crystals to pass and I’ve read many complaints on this from others and one person already spent $25 and isn’t even as far as I am in the game. I find this highly unfair because players expect to be playing a free game to maybe spend a few dollars but not more than that to be able to complete the game. I believe that this game has done this to steal money from their players and I’ve contacted support and tried to talk to them about the issue and they told me I need to be more descriptive with my problems with the game itself. So it has become clear to me that the developers of this game don’t plan to fix the issue. They only plan to expand their pockets and continue to rob players. It would be more efficient if players were to have to pay a one time fee of $3-$5 to download and play the game rather than having to spend over $20 to even get halfway past the second location. I will be deleting this game if I can’t pass this five round match three game to go to the second location by 5 days. 5 days for 5 rounds, we shall see. Don’t waste your time on this game unless you want to spend a lot of unnecessary money. © 2015 - 2019 G5 Holdings Limited. Published by G5 Entertainment AB. All Rights Reserved.